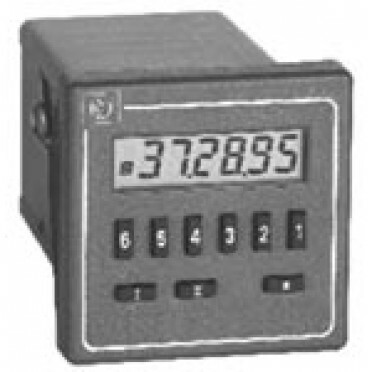 Selectable Counter, Chronometer or Timer functions. Timer with On Delay, Interval, Off Delay, Single Shot and Cyclic Functions. EEPROM Data back-up 7 Segment 6 digit High LCD Display.